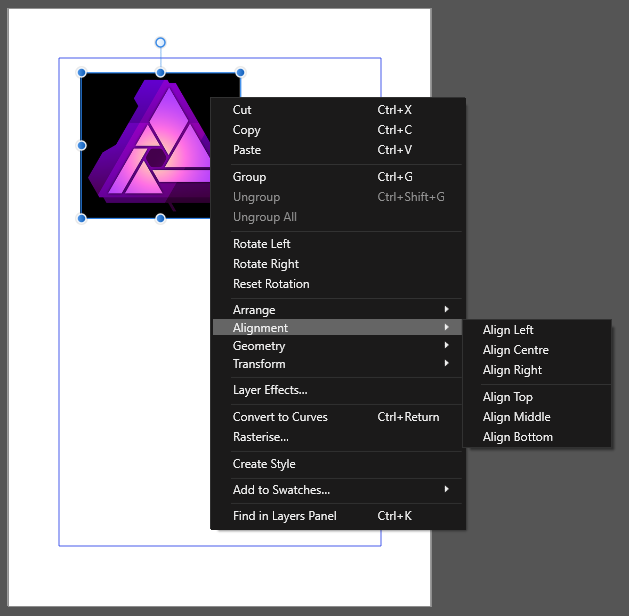 The context menu of a layer for alignment misses the option to space out between multiple selected layers. The menu in the toolbar offers this function. I nearly believed it's missing. the same menu items as "Layer > Alignment". This is true for the other options. So I consider this a bug.